Reduces melanin production, brown spots and illuminates skin. 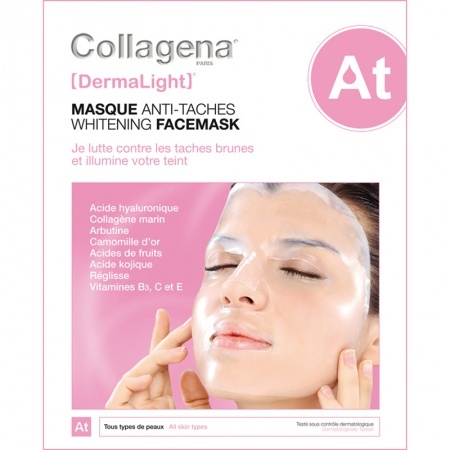 Enriched with Arbutin, Camomile, Fruit Acids, Kojic Acid, Liquorice, and Vitamins B3, C and E.
The facemask adheres to your face like a second skin whilst delivering high quality nutritive serum which penetrates and nourishes your skin whilst lightening brown spots, age spots and discolouration and inhibiting the production of melanin. Leaves skin lighter, smooth and new (when used as part of your weekly beauty regime).